FalconStor Software leads the way in developing innovative, scalable, and open network storage solutions designed to optimize the storage, protection, efficiency, and availability of enterprise data and applications. FalconStor-powered data protection solutions change the economic equation for companies that need to manage their IT bottom lines -- despite exponential data growth and ever-expanding retention periods. FalconStor solutions are available and supported by major OEMs, as well as leading system integrators and resellers worldwide. FalconStor's award-winning solutions - Continuous Data Protector (CDP), Virtual Tape Library (VTL), Network Storage Server (NSS), File-interface Deduplication System (FDS), and HyperFS are deployed by worldwide Fortune 1000 enterprises, including leaders in financial services, telecommunications, aerospace, manufacturing, law, energy production, government, healthcare, and higher education. 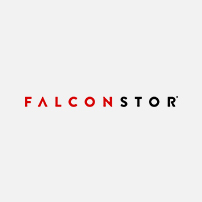 Built on the FalconStor IPStor® storage virtualization platform, FalconStor delivers a complete line of highly scalable, energy conscious solutions that grow to meet the requirements of the smallest businesses through the largest global enterprises. FalconStor's vision is to give businesses a competitive advantage by maximizing data availability and system uptime to ensure nonstop business productivity, while simplifying storage management and improving efficiency to reduce operational costs. Our open, integrated software solutions reduce vendor lock-in and give organizations the freedom to choose the applications and hardware components that make the best sense for their business, now and as they grow into the future. This approach enables customers to reduce dependency on proprietary systems and helps prevent the need for costly technology changes down the road.